BTS was announced to be receiving the Order of Cultural Merit on 2018 Popular Culture & Arts Awards Ceremony! 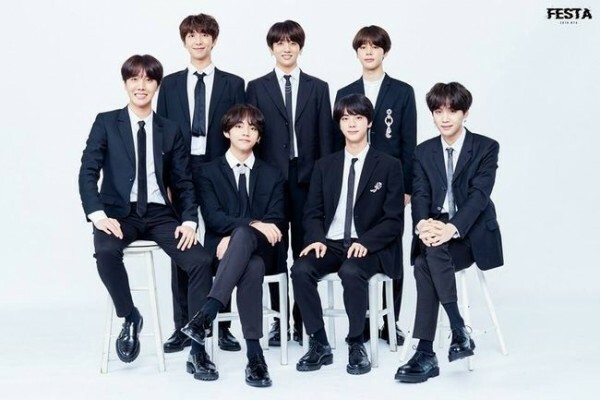 The Ministry revealed the reason for BTS to receive the award, stating that ‘BTS is the first Korea artist having two albums (“Love Yourself Tear” and “Love Yourself Answer” recorded No 1 on Billboard 200 which made a great effort for promoting KPOP to the world. Especially title song “Idol” mixed traditional Korean music and dance movement with members wearing Hanbok in MV helped in the promotion of Korea traditional culture to the world. BTS has once received a commendation the Ministry in the 2016 Korean Popular Culture & Arts Awards. The Order of Cultural Merit that BTS is nominated this time is a higher honor than the commendations from the president, prime minister and minister. nextArirang Rhapsody is back to Daehangno again!